We plan our third litter during this 2013 summer. After the success of our 2 first litters, we plan our third and last litter for Coleen, but with a different sire. "Black Kodiak Of Mountain Pack" and "Tabiatiak Inuit's Flag Seeker" gave us great results with our first puppies, even if they were different. 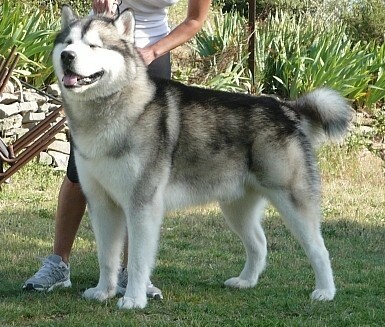 With "Black Kodiak Of Mountain Pack", we had heavy puppies, rather of M'Loot type, and with some pigmentation defects. With "Tabiatiak Inuit's Flag Seeker", we had puppies more in the standard size, but some of them were with long hair. 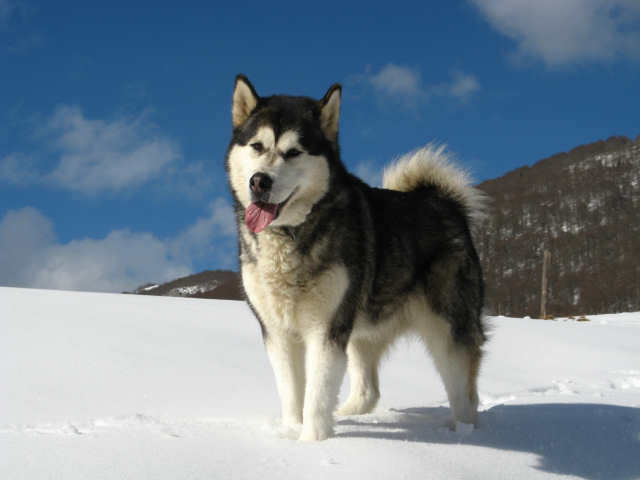 So, we hope that with "CHUKATTOQ ILANNAQ FOREVER﻿" , we are going to have the perfect puppies, even if there are chances that they will be of M'Loot type, and so, a little bit heavy. Chuk is not only very beautiful, but also he has all documents that proves that he will give an excellent litter. The cover should take place during the week of june, 16. Puppies valuation was 6 + 2 = 6 and a pedigree preview of the litter is available. Whelping is planned between 15 and 20 August 2013. Follow the blog and this page for more informations.